Ippokampos restaurant in Gerakas is a famous taverna in the area that offers greek cuisine, fresh fish and seafood. 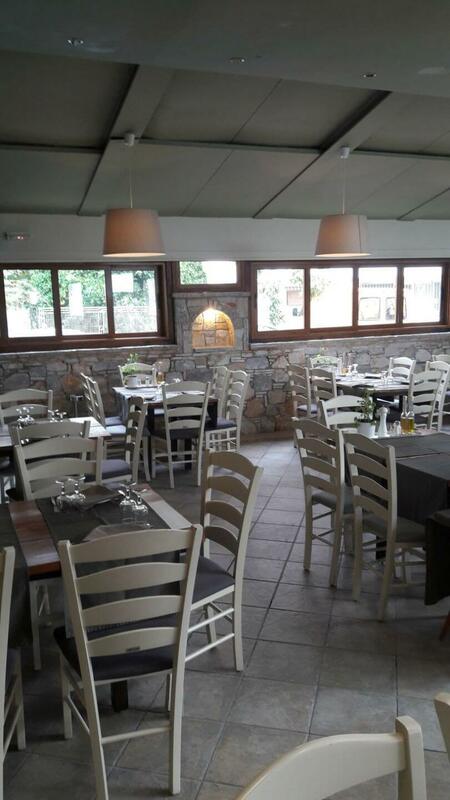 The bright and comfortable restaurant's space with stone, white colors and traditional decoration is a very good choice for both your family and friends if you want to enjoy a relaxing lunch or dinner. The menu of Ippokampos fish restaurant includes special greek delicacies, seafood and fresh fish. Taste amazing fish soup, special pasta with crabs from Alaska, grilled sea bream, fried shrimps, steamed mussels, halloumi cheese of Cyprus, but also juicy tenderloin steak fillet and other grilled meats that will accompany with fine house wine or one of the many greek wine labels. For great seafood in Gerakas, you can visit the Ippokampos restaurant. Booking a table has never been so easy. Make a free reservation on e-table and get great offers on fish restaurants.